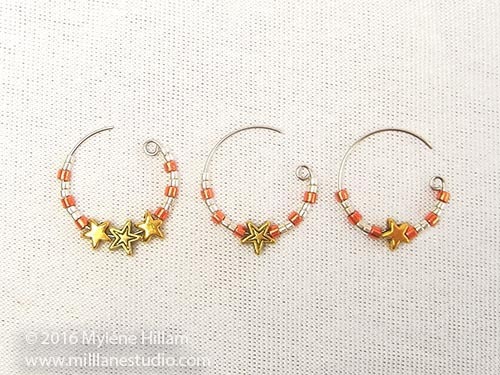 If you're looking for some festive earrings that are a little out of the ordinary, then these Cascading Star Loop earrings might be just what you're looking for. 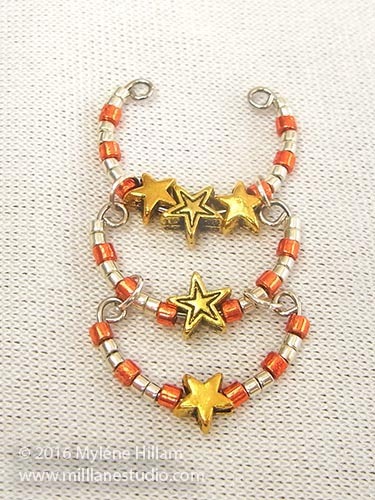 Instead of adding red to gold and silver, add a sprinkling of copper beads for a less traditional look. It will add warmth and contrast to the design whilst retaining the glitz of gold and silver. 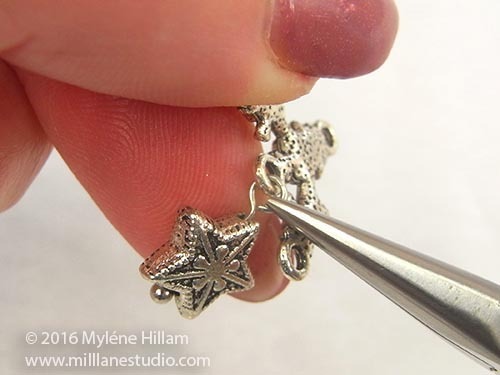 The clusters of stars will add the Christmassey feel to the earrings. 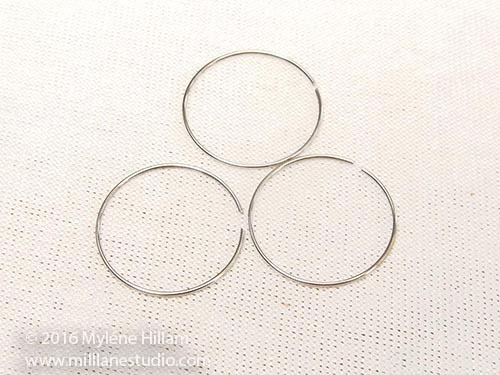 Tip: This project uses memory wire to form the circular sections giving uniformity and stability to the design but if you find it difficult to turn small loops on pieces of memory wire, you can use wire instead. 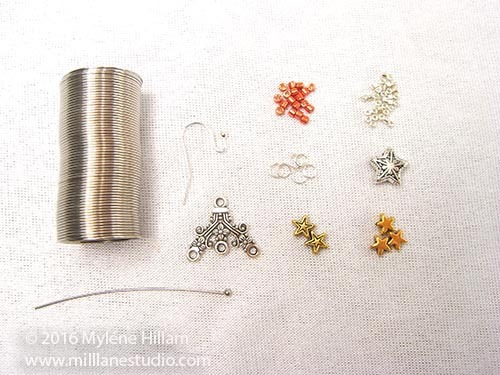 Choose the heaviest gauge wire that will fit through the Delicas. 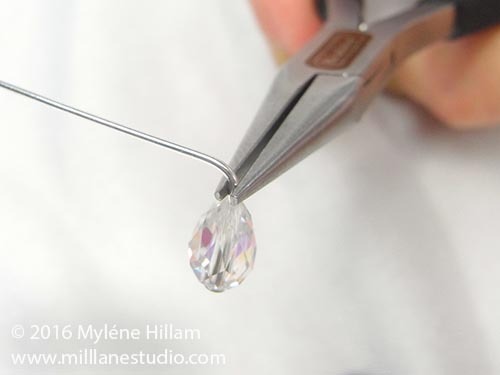 Tip: Always use memory wire shears to cut the steel memory wire. 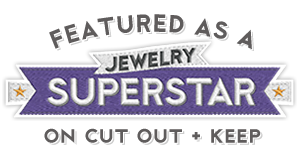 Using your regular wire cutters will permanently damage them. Cut three rings from the memory wire. 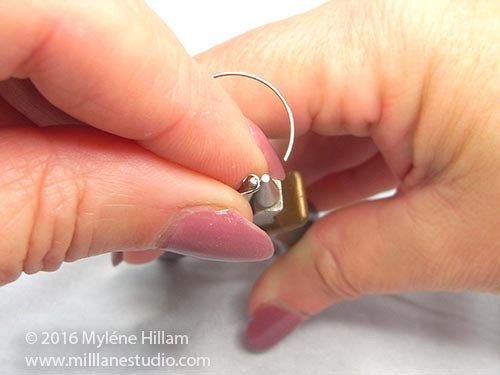 Using the very tip of the round nose pliers, make a small inward facing loop on one end of each of the three coils of memory wire. The easiest way to do this is to rotate your wrist whilst using your thumb and forefinger to push the wire against the jaws of the pliers. You will need to repeat this two or three times to complete the loop. 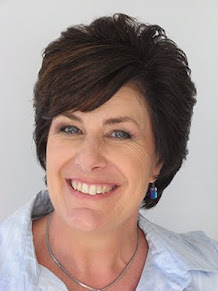 This will help you form a fully closed loop. 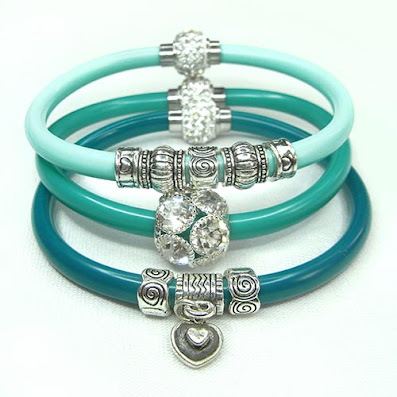 Repeat on each of the three coils. 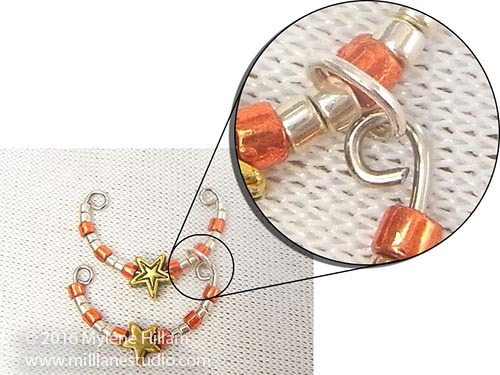 String the Delicas and star beads onto the three coils using the photo as a guide for the stringing order. Trim each coil leaving just enough wire beyond the beads to form a small loop. To work out where to cut the wire, measure the distance between the loop you formed and the cut end. 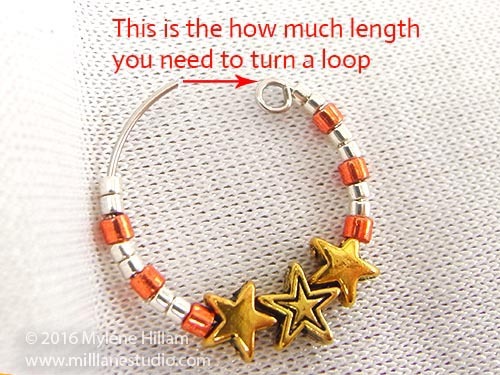 This is how much wire you need to form a matching loop. 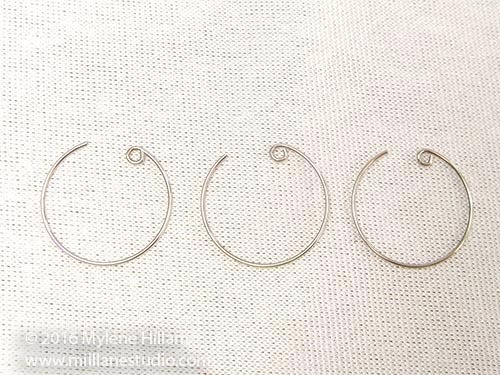 The three coils should now look like this. 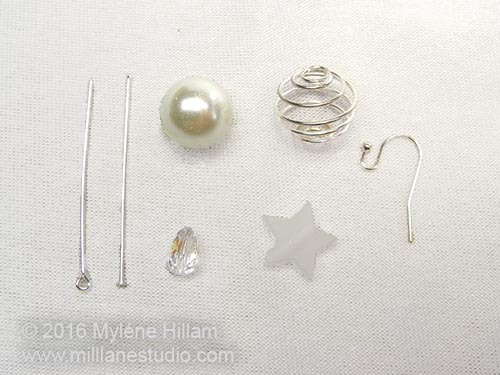 String a silver star onto a head pin. Bend the wire at a 90° angle and trim it to 10mm (3/8”). Open the loop and hook it onto the middle of the three loops on the connector. 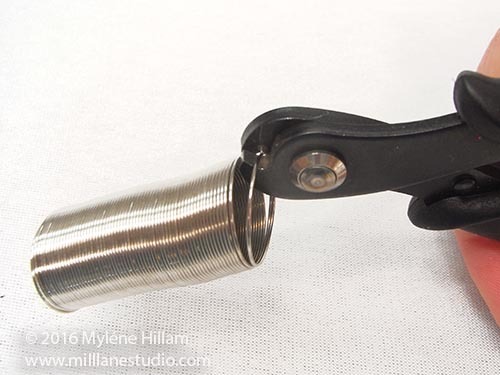 Connect the smallest and medium coils by hooking a jump ring to one end of the small coil and the beaded section of the medium coil. 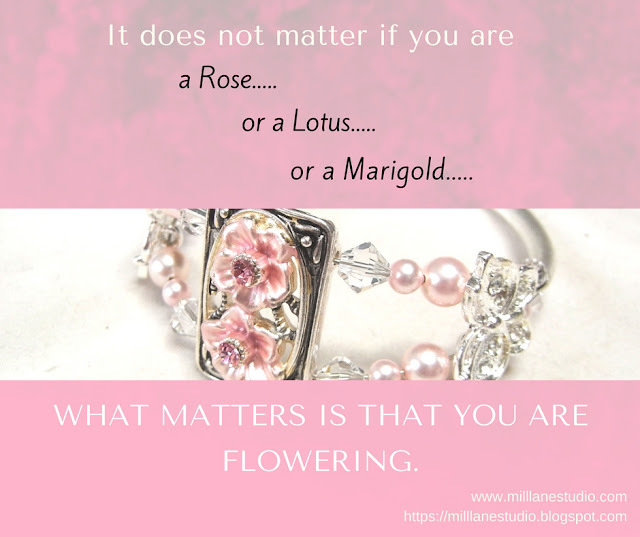 Connect on the other side in the same way. Connect the medium coil to the largest coil in the same manner. Connect the large coil to the end connector with jump rings. 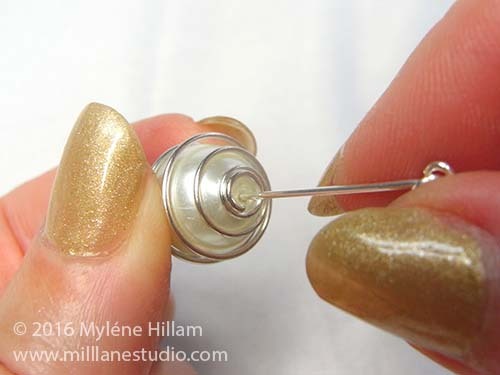 Open the loop of the ball end earring wire and slip then top loop of the end connector onto the earring wire. Make sure that it is facing the front. 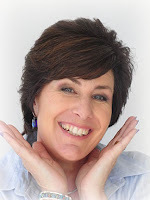 It's not too late to start making Christmas earrings and if you need more inspiration, check out my Twelve Days of Christmas Earrings ebook series. 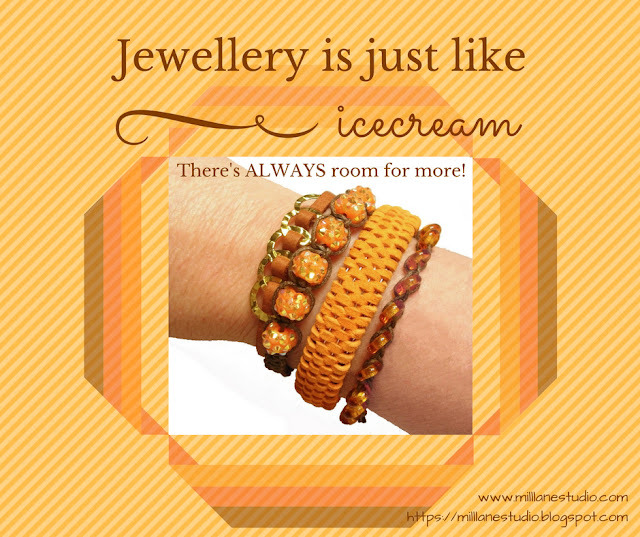 You are sure to find something perfect to get you in the festive mood. 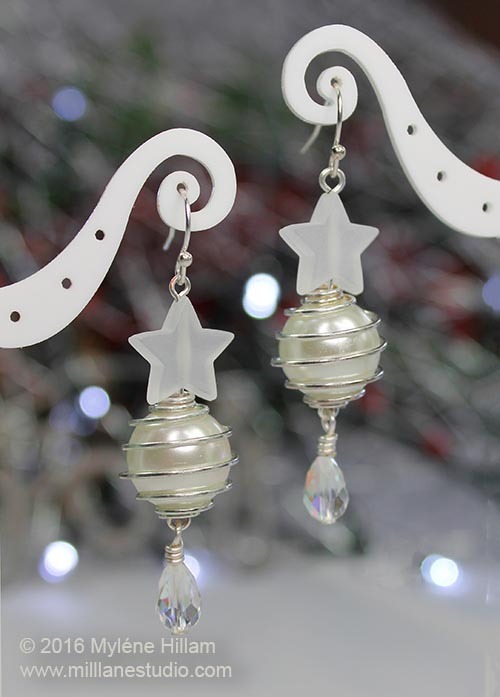 December is racing along but it's not too late to make some fabulous Christmas earrings to dress up your festive outfits. 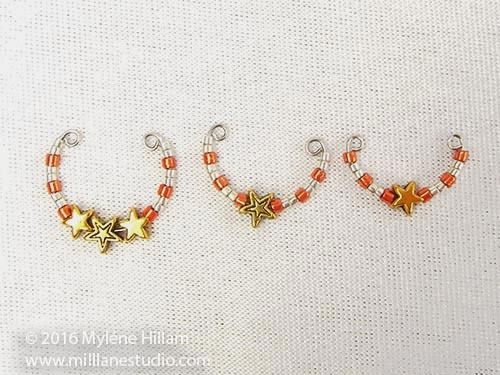 Today I have another bonus Christmas Earrings project for you that is NOT in the Twelve Days of Christmas Earrings Vol 5. 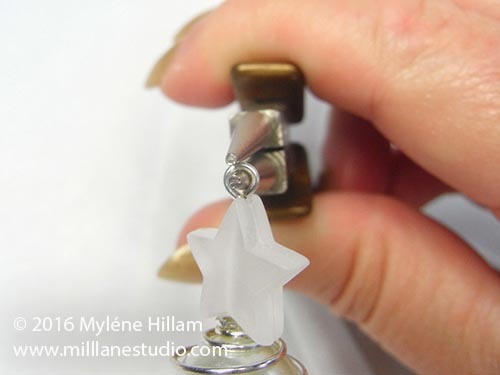 Watch me as I make these gorgeous White as Snow earrings and then follow the step-by-steps below. 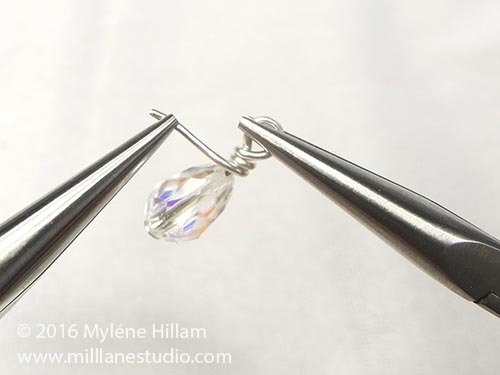 String the tear drop onto the head pin. 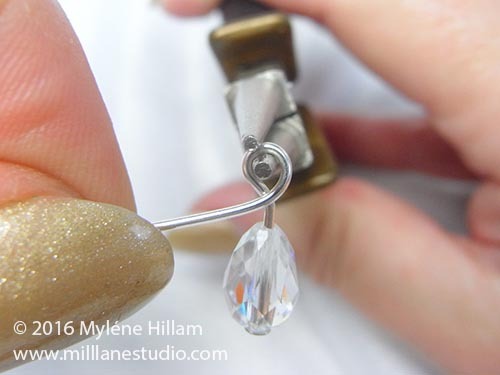 Grip the head pin with the chain nose pliers and bend it above the pliers at a 90° angle. 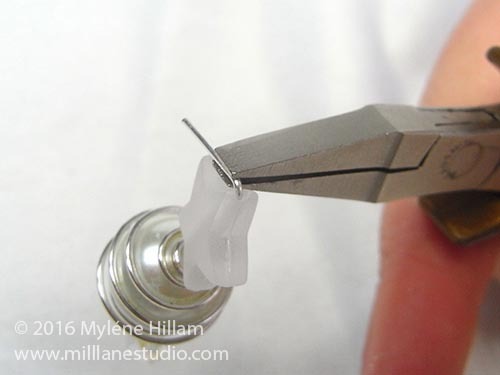 Position the round nose pliers in the neck of the wire and form a loop. Make sure that the wire crosses over the front of the loop. 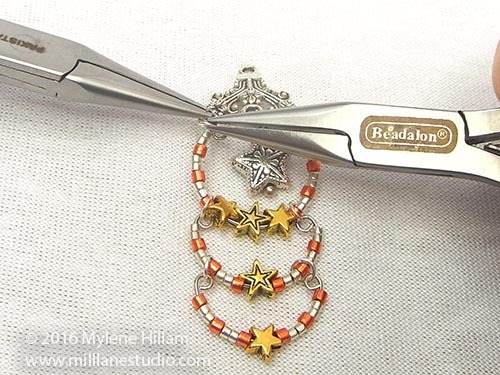 Wrap the tail of the head pin around the neck two or three times and then trim away the excess. 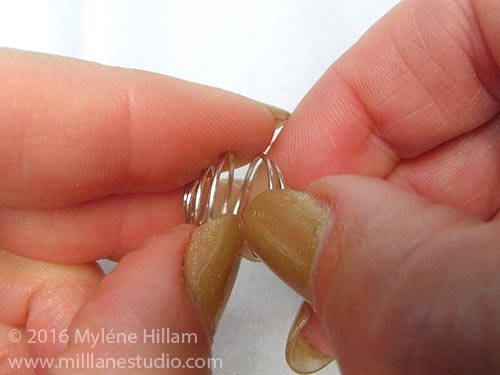 Open the coils of the bead cage using both hands. 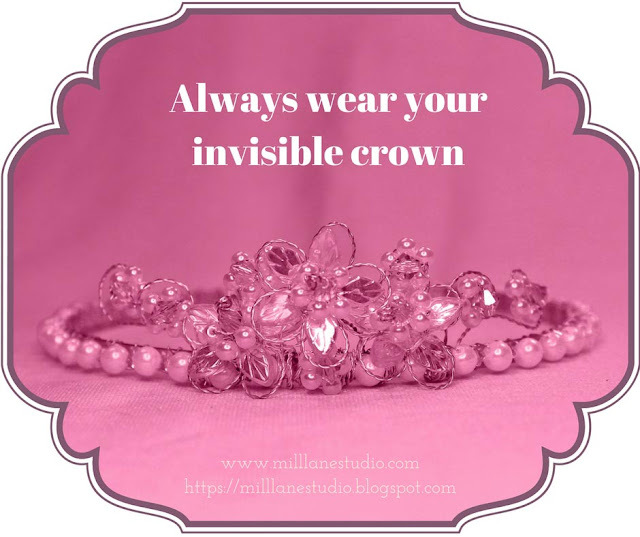 Insert the bead into the cage. 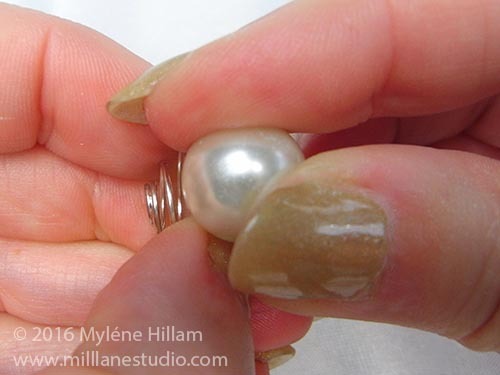 If the bead holes don’t line up with the cage ends, work them around by inserting the tip of the eye pin in one end and manoeuvring it into position. String the caged bead and the star (from the bottom). 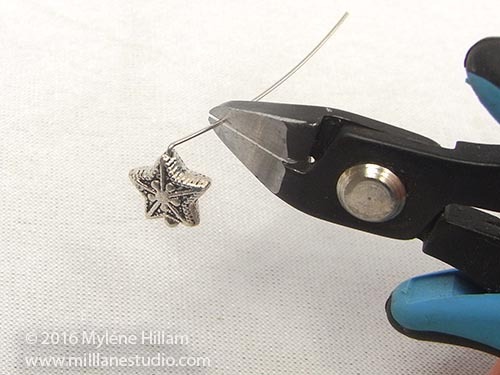 Bend the wire above the point of the star at a 90° angle. 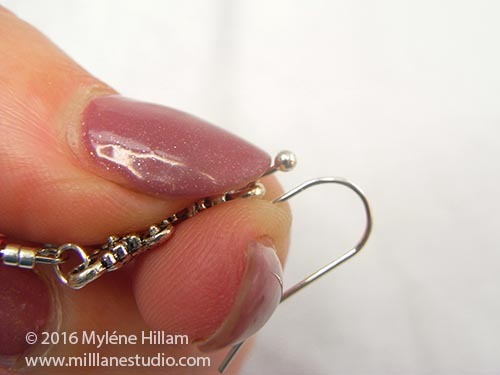 Open the bottom loop of the eye pin and hook it through the wrapped loop. 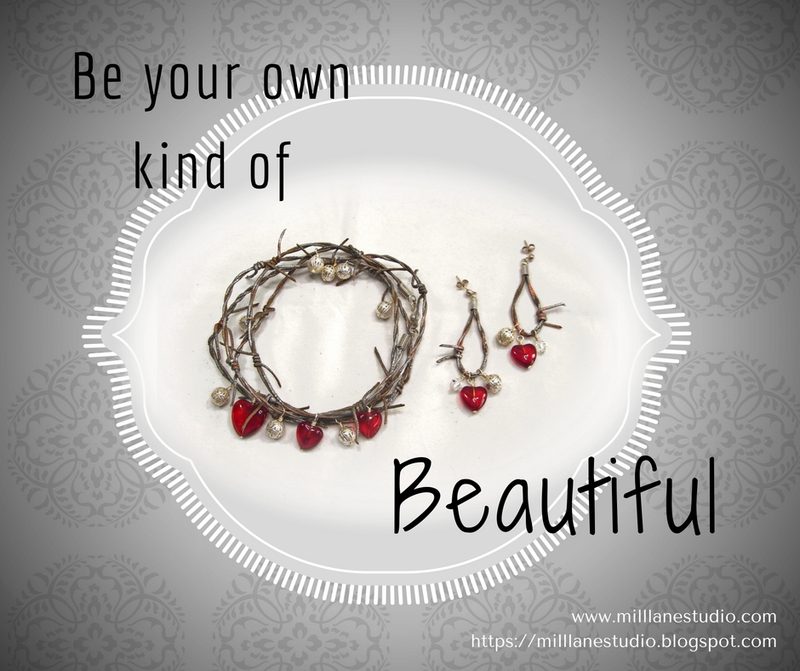 Attach the earring to the earring wire and close the loop. Make a second earring to match and you're done. 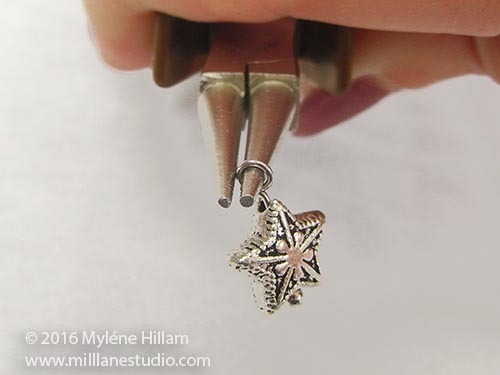 Wow....Christmas earrings in under 10 minutes! 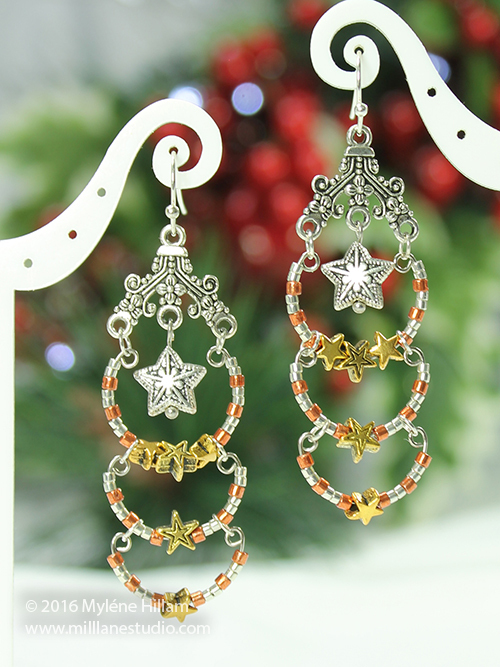 You'll find more great earring designs like these in the Twelve Days of Christmas Earrings ebook series. Vol 5 is available for purchase now and can be downloaded immediately after your purchase is complete.